Manage your organization's communications with SilkStart's email marketing tools. Our step-by-step email builder ensures each communication sent from SilkStart has a professional look and feel. 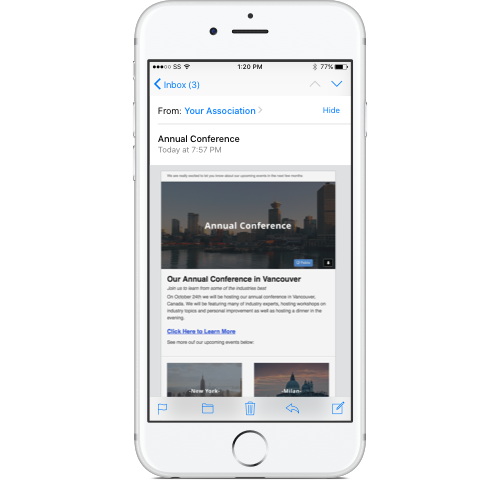 Easily create announcements, newsletters, and more! Design tools that let you take control of your email campaigns. Choose from one of our many email templates to make emails with stunning images and graphics. Once you’re happy with the results, save the template for future use. 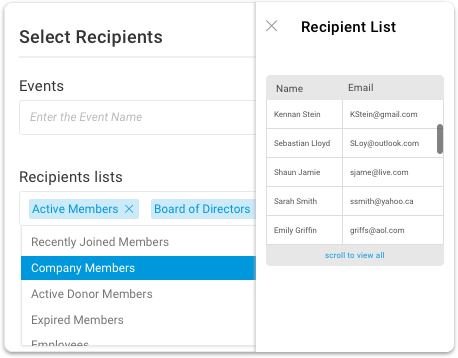 Use SilkStart database filters to segment your members into just the right audience for you emails. Save the filter criteria as a dynamic mailing list, and reuse it as many times as you like. Track the success of your email campaigns with detailed, measurable analytics, including clicks, open rate, bounced emails and more. 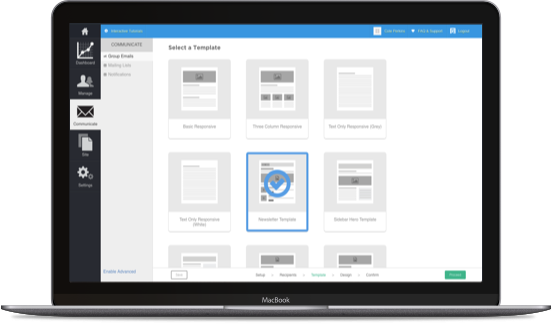 Easily segment your target mailing list from the database, build rich, beautiful templates, and send and track your results! Sync mailing lists with popular mailing tools like MailChimp. Simultaneously communicate to your entire organization or individually target your branches.